While many people are talking about the automation of the automobile, Toyota knows there’s massive fun to be had when the driver is in complete control – and to prove it, Toyota Canada hosted a day of gear-shifting glory to #SaveTheManual in the parking lot at its head office, starring the all-new 2019 Toyota Corolla Hatchback. First, Toyota invited racing pro and Motoring TV personality Russ Bond, along with a crew of leading Canadian auto journalists as instructors to put participants through the gears. Bond is a motorsports veteran of more than 20 years, with experience behind the wheel of everything from karts to Toyota Formula Atlantic Championship vehicles and NASCAR machines. He writes for several motorsports publications and hosts the Two-Minute Test Drive on Motoring TV. He also runs the kartSTART program presented by Toyota, which teaches young Canadians ages 10-16 about road safety and driving skills. The second star came from the engineers at Toyota itself: the 2019 Toyota Corolla Hatchback, featuring a six-speed Intelligent Manual Transmission designed from scratch for this super fun hatch. The 6-iMT is definitely not your grand-dad’s stick-shift. 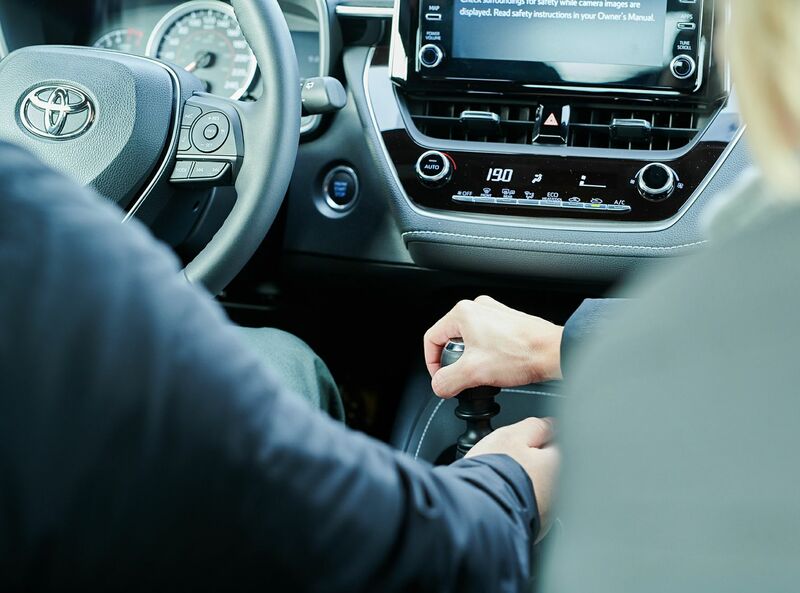 Toyota has pushed the boundaries of the manual transmission, with features such as downshift rev-matching control to ensure smoother and faster changes between gears*. The result is that driving a stick has never been easier – or more fun. Coupled to a spirited 168 horsepower 2.0L four-cylinder engine and mounted in a sleek body that features aerodynamic design, exceptional rigidity and a pavement-hugging centre of gravity, the Corolla Hatchback delivers a genuinely sporty drive with great feedback, quick response, and super stability. As the newest member of the Corolla family, the Corolla Hatchback is ready to prove – yet again – why the Corolla has become the world’s best-selling automobile of all time.